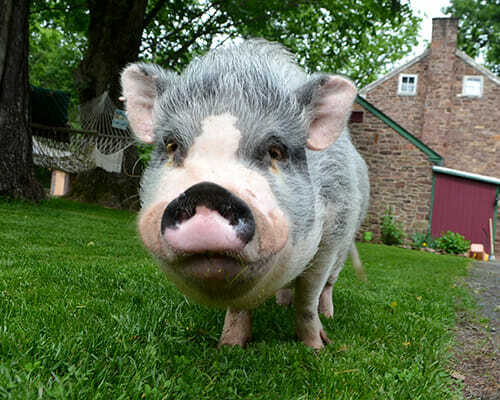 Finding someone to care for your special pet pig when you have to be away can be difficult. Understanding a pig’s unique nature, providing the right environment and having the experience to provide proper care is essential. 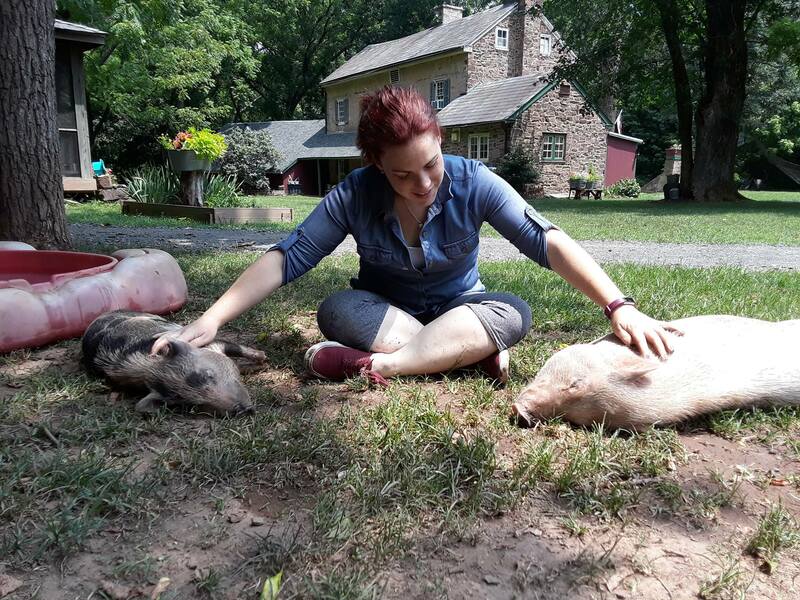 The Ross Mill Farm, located in the rolling hills of Bucks County, Pennsylvania, about one hour north of Philadelphia, has become an industry leader in the care and training of Potbellied Pigs. 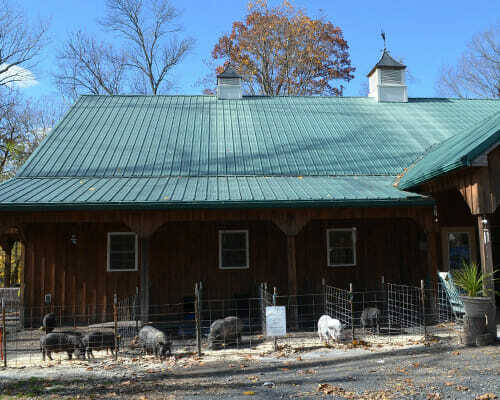 The owner, Susan Magidson, as trainer and consultant, along with the farm facilities and experience provide the peace of mind you and your pet pig need for boarding, weight reduction, and behavior modification. 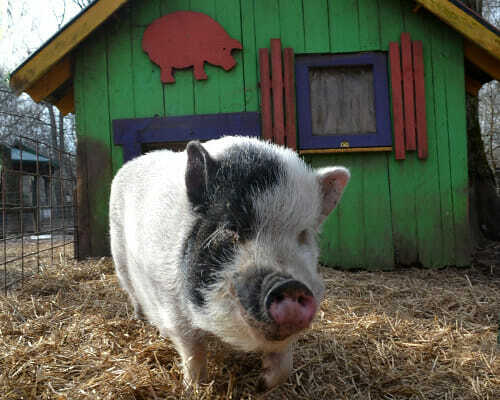 The facilities are designed to make your pet pig’s stay comfortable and entertaining. Our personalized attention adds that special something that helps your pig feel like camp is “a little bit of home”. 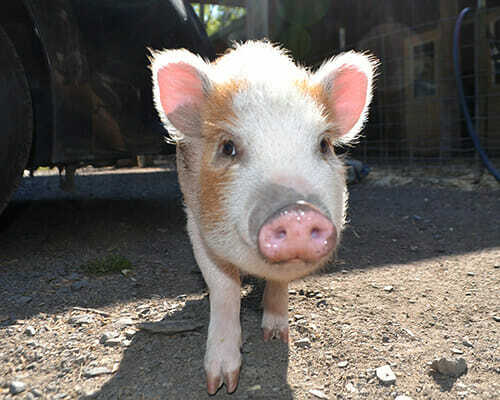 Our goal is to provide your pet pig with everything needed to be happy and maintain good health during her stay. Boarding facilities include individual enclosed areas that are inside for bedtime. During the day larger outdoor individual pens are provided as weather permits. In the summertime shelter, shade and wading pools are provided for each camper. During inclement weather heat lamps and blankets are available. Our short term boarders stay at camp from one day to one month. Long term boarders stay over one month. Our long term boarding has become very popular with piggy parents who must give up their beloved pet. They know their piggy is happy with other campers and that they can take their pig home when circumstances permit. Piggy Camp has proven to be very beneficial for overweight pigs needing to diet. Special nutritional and health needs are met, while a step-by-step exercise program is routinely followed, all under a licensed veterinarian’s care. 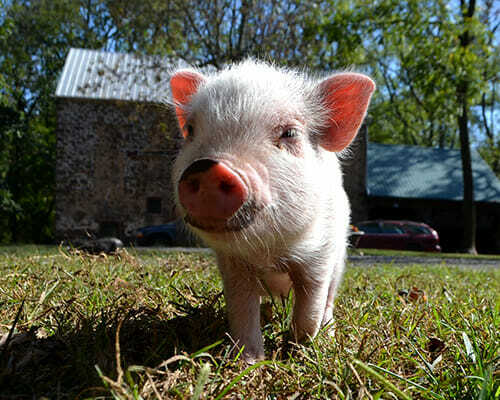 A pet pig’s natural disposition is generally docile and affectionate. 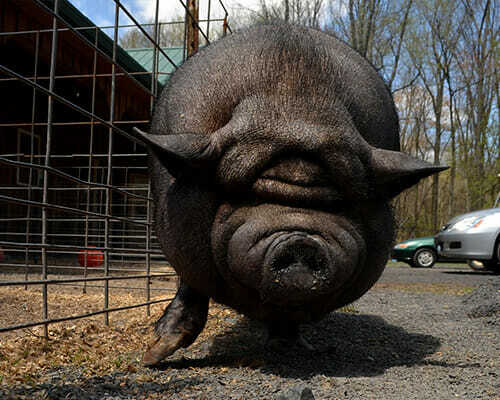 If you have a “grumpy” pig, there usually is a specific reason. 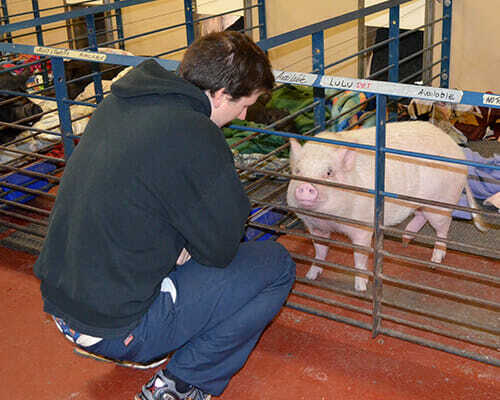 Piggy Camp staff can evaluate the problem and help you deal with it either at the farm while boarding or at home. Each pet is worked with daily. Special care is given to her general health and disposition. Careful observations are made with the expert’s special eye. Changes are noted and, if necessary, adjustments are made in care. Only healthy pigs are accepted for boarding. Your pig will need to be up-to-date (within 6 months) on her shots and worming, be free from any communicable diseases and have a letter of good health from a licensed veterinarian.